I am a level 3 Ontario Certified Arborist and at level 2 Ontario Certified Utility Arborist. I attended Fleming College where I graduated from the Arboriculture program along with Urban Forestry. I have been working in the area for 3 years now. We have tackled everything from light pruning jobs to large lot clearing and even trees so big they require a crane to remove. While at fleming college I learned assorted skills such as proper pruning cuts and techniques ensuring optimum tree health. 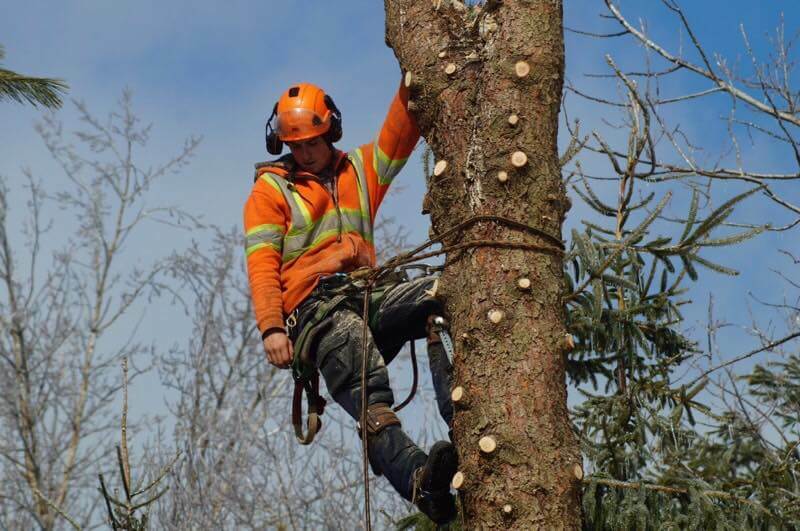 Also techniques such as high angle rigging, elevated rescue and proper use of pesticdes to treat all tree health issues. We respect our clients property like its our own. We clean up ALL of the mess right down to planting new grass if required by our clients. Always polite and positive towards all our costumers. We are always open to feed back from costumers. We respect everyone one and every property we work for. Run in with wildlife are a common thing in tree removal and we always respect wildlife encounters to their fullest. We cleared a lot in 2014 where a flying squirrel jumped out of tree while I was climbing and I was able to catch it mid air and safely return it to its nest.